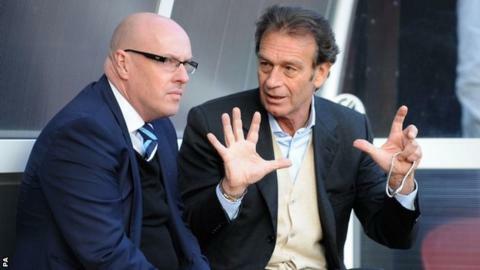 The Football League have cleared Massimo Cellino to take charge of Leeds United. The League initially blocked the Italian's takeover of the Championship club after he was found guilty of failing to pay import duty on a yacht in Italy. Cellino appealed against that ruling and their decision was overruled on Saturday. On Tuesday, his lawyers said that he had completed his takeover. In a statement, the Football League said that "in the absence of detailed reasons for his conviction" they had cleared Cellino to be a director of the club. Leeds announced losses of £9.5m for the 2012/13 financial year earlier this week and Cellino admitted that the club was in worse health than he had been led to believe. He said: "We have losses and we have to pay them. I thought the losses were less but it is OK. The club is sick but it is not in the hospital." The Elland Road side, who have lost eight of their last nine games, host struggling Blackpool on Saturday.